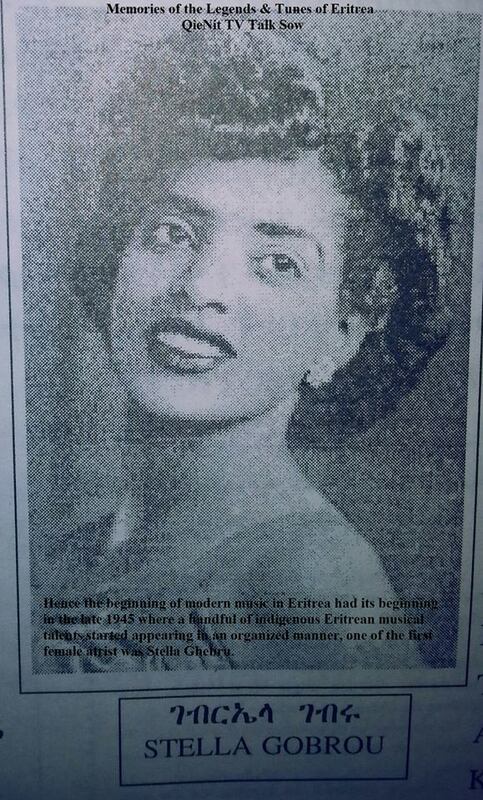 Stella Ghebru was an Eritrean artist that played the Ballet and she toured Athens, Istanbul, Ankara, Cairo, Cyprus, Tripoli, Baghdad, London, Smyrne, Beirut, Damas, Aleppo, Tehran, Alexandria, and Khartoum. After the illness she sustained Gabriella passed away aged Ninety years on the 21st of May 2000 in Asmara Eritrea. The one thing which was common between the music from the ages and those sang during the 20th century is that most of the artistic works of music played in Eritrea narrate stories of tribal heroes as well as religious and cultural holidays. The background of music in Eritrea lies deep and goes as far as centuries, but the organized and composed blast of Eritrea’s real musical talent was yet to be unfolded in the late fifties and sixties. Those were the times Eritrea was under consecutive colonialism and with the coming of musical instruments; recording studious as well as the mixing of traditional instruments with the imported ones, music in Eritrea had its rebirth in a more professional manner. Maintaining the cultural originality of music and infusing a strong sense of nationalism amongst citizens were the core elements of musical works during those times.